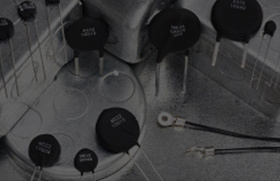 The SLD60 is a highly reliable and installation ready, class 2, switched-mode, AC/DC LED driver, with 90-264VAC input, rated for maximum output of 60 Watts. This driver offers user adjustable output voltage/current trim-pots, and is the industry's only LED power supply, with built-in wiring compartments. This allows all wiring to be done inside the unit, without the need for external junction boxes, which saves on cost and installtion time. 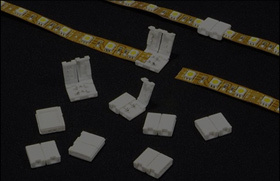 All units are fully potted and are rated IP65, making them suitable for a wide range of LED lighting and signage applications. 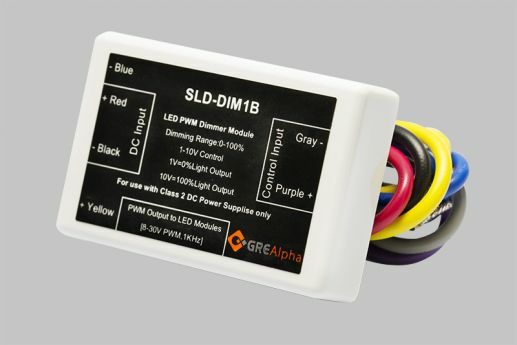 The GRE Alpha XLD Series is the industry's only UL Listed LED driver. As a standalone unit, this unique patented, conduit-ready, LED power supply will enable complete installation of your system without having to install external junction boxes saving you invaluable time and money in stallation and approvals. It's as simple as plug-and-play! Efficient, Reliable and easy to install, the XLD 75 (75 Wattpower rating) is fully potted and can work in extremely wide temperature environments (-40°C to 60°C). 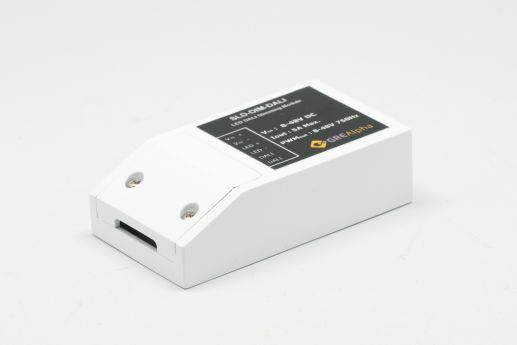 This unit features universal input 90-305 VAC and its user-friendly output voltage/current adjust pots allow you to easily tune the unit to drive your system at the appropriate power levels enabling flexibility and compatibility with a wide variety of indoor/outdoor LED lighting systems. 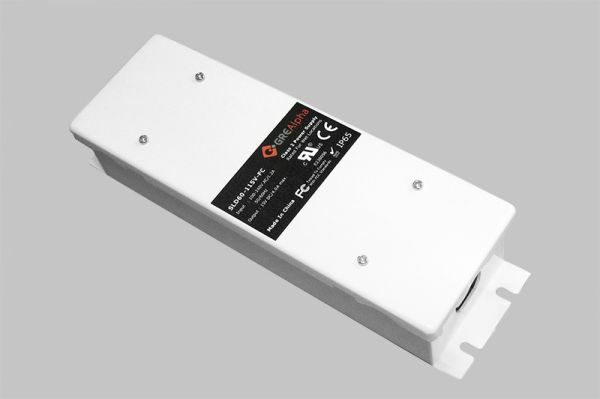 The SLD 120 is an installation-ready, dual channel, 120 Watt, LED driver. This switched-mode, AC/DC design comes with 90-264VAC input, adjustable voltage/current trim pots, and is fully potted to enable maximum flexibility of usage, for both indoor and outdoor LED lighting applications. 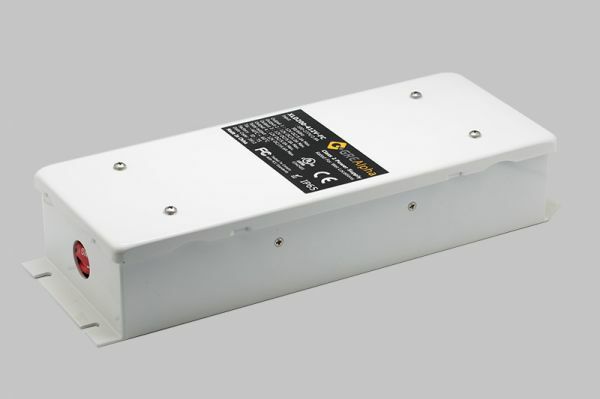 This unit’s revolutionary design allows for all DC and AC wiring to be done inside the unit, without the need for external junction boxes, saving you valuable time and installation costs, as well as improving overall reliability of your LED lighting system. 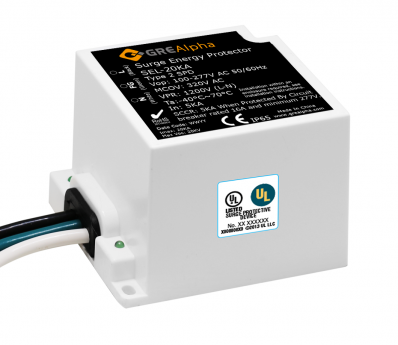 The GRE Alpha XLD series is the industry’s only UL Listed LED driver. As a standalone unit, this unique patented, conduit- ready, LED power supply will enable complete installation of your system without having to install external junction boxes saving you invaluable time and money in installation and approvals. It’s as simple as plug-and play! 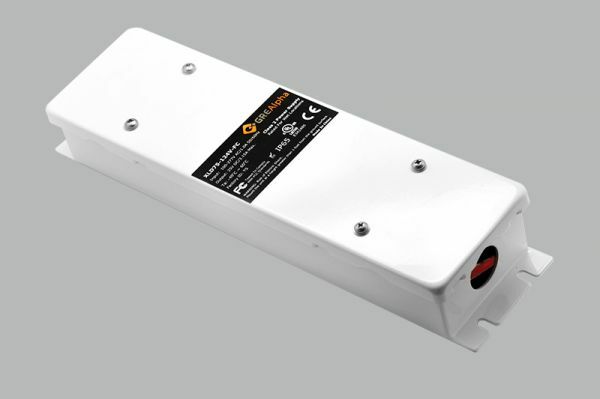 Efficient, Reliable and easy to install, the XLD 200 (200 Watt power rating) offers up to 4 channels output and is fully potted and can work in extremely wide temperature environments ( -40°C to 60°C). With User adjustable output voltage and current pots, this universal input 90-305 VAC this versatile model is suitable for a wide range of high powered LED lighting applications.